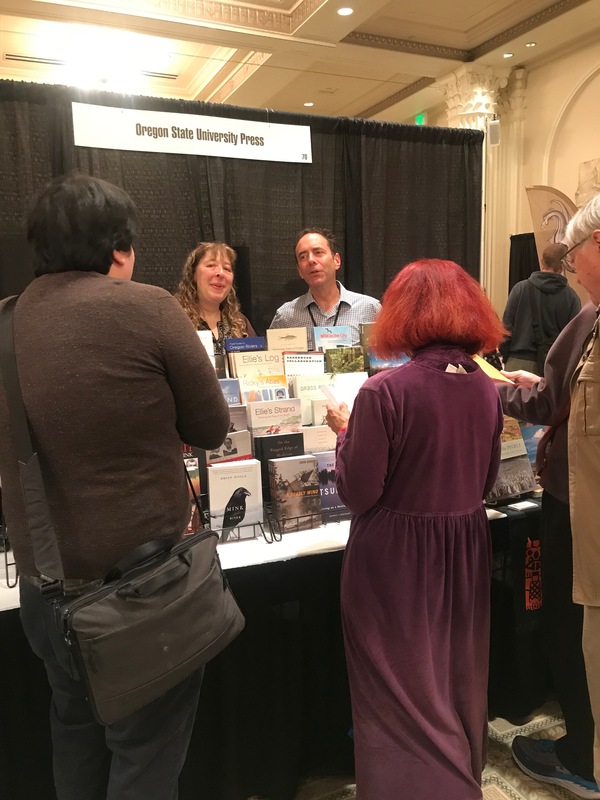 We at the OSU Press had a great time at the Portland Book Festival this year! Formerly known as Wordstock, the Portland Book Festival is a major regional literary event organized by Literary Arts that has brought together writers, publishers, and book lovers from the Pacific Northwest and beyond since 2005. 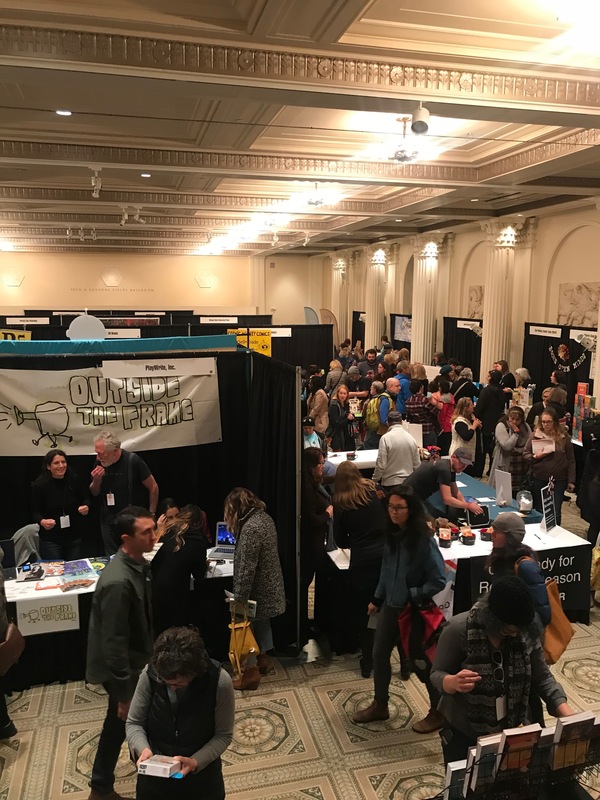 This year the festival took place on November 10 in downtown Portland and featured over 100 authors who shared their work at readings, panels, and lectures. Read on to hear about our team at the 2018 Portland Book Festival. The book fair was bustling! The OSU Press was one of 80 vendors selling books and talking to readers and authors on Saturday. We got to say hello to our authors Greg Nokes author of Massacred for Gold: The Chinese in Hell’s Canyon, Sue Armitage author of Shaping the Public Good: Women Making History in the Pacific Northwest, and Kris Anderson, author of State of Giving: Stories of Oregon Volunteers, Donors, and Nonprofits. Marty and Tom were busy talking books and saying hello all day. We went to some amazing panels in the morning and afternoon on Saturday. Trevino Brings Plenty, Laura Da’, and Layli Long Soldier shared beautiful and moving poems and perspectives at the New Poets of Native Nations panel. Seeing Marilyn Chin, Eileen Myles, and Justin Phillip Reed at the Outside In: Poetry & Politics panel was incredibly inspiring as well. 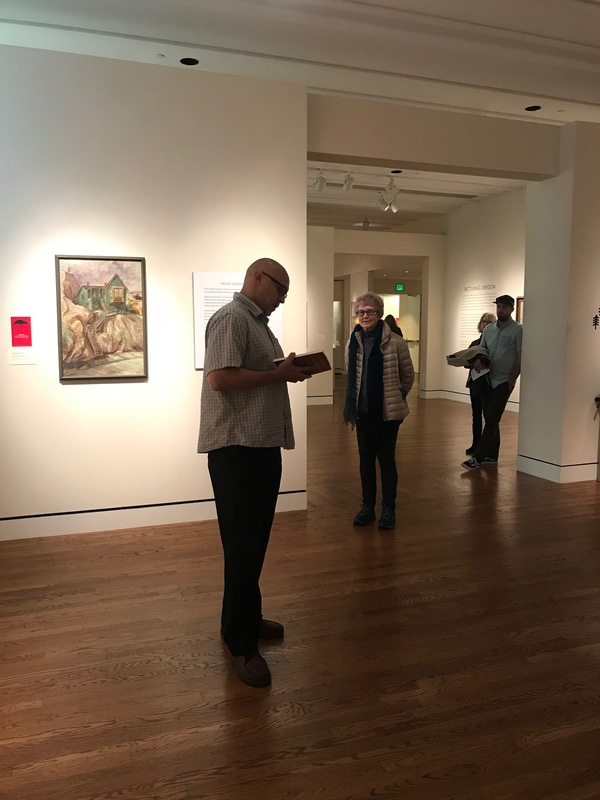 Meanwhile in the Portland Art Museum galleries, Son of Amity author Peter Nathaniel Malae was featured as a Pop-Up reader in the afternoon. Listeners gathered to listen to the opening pages of his novel next to the the painting Untitled (House on Cliff) by artist Anne Kutka McCosh. In addition to OSU Press, the OSU MFA program was also present at the festival. During Portland’s Lit Crawl, OPOSSUM Magazine hosted a Literary Cabaret featuring writers of poetry, fiction, and nonfiction with accompanying musicians. OSU MFA faculty Marjorie Sandor, Keith Scribner, Tracy Dougherty, David Turkel, Elena Passarello were among the readers and musicians, and MFA alumnus Erica Trabold was a featured reader as well. The day of the festival, Elena Passarello moderated the panel Real Women: Badass Heroines featuring authors Karen Karbo and Amy Stewart, and Tracy Daughterty interviewed author Sara Weinman. It was wonderful to see OSU’s community participating in this year’s festival. Thank you to all who visited us at the Portland Book Festival, and thank you to those visiting us virtually too! We’re thrilled to be a part of this literary community with you.